A charming place with a warm and inviting ambience. With its light colored external structure, Mizpah Services Apartment is a simple and sober hotel. 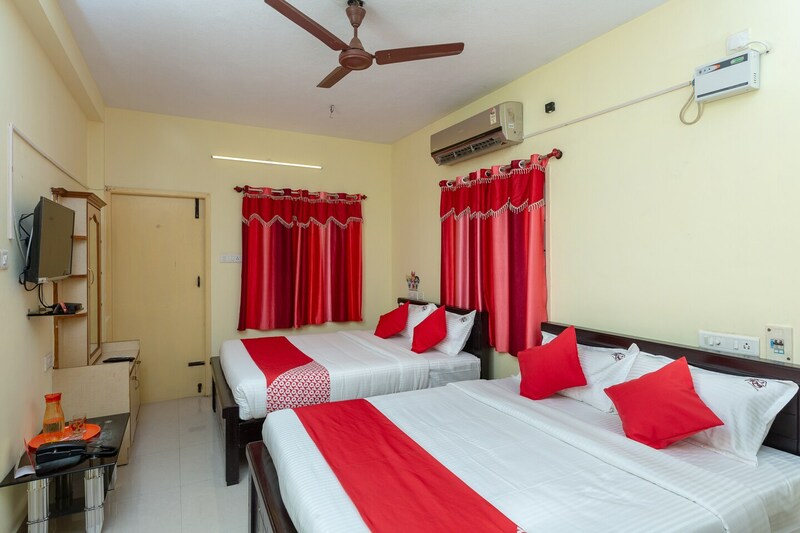 The bedrooms at the hotel have light colored walls which are complimented with furnishings other than wooden in various shades of red. Apart from the basic furniture,the bright coloured curtains and cushions add colour to the room. A seating area, a kitchen and a dining area are present for the guests to avail whenever they want. The hotel provides its guests with free Wi-Fi and power backup so that they can connect with the rest of the world during their stay. Other amenities offered by the hotel are laundry and parking facilities and a card payment option.